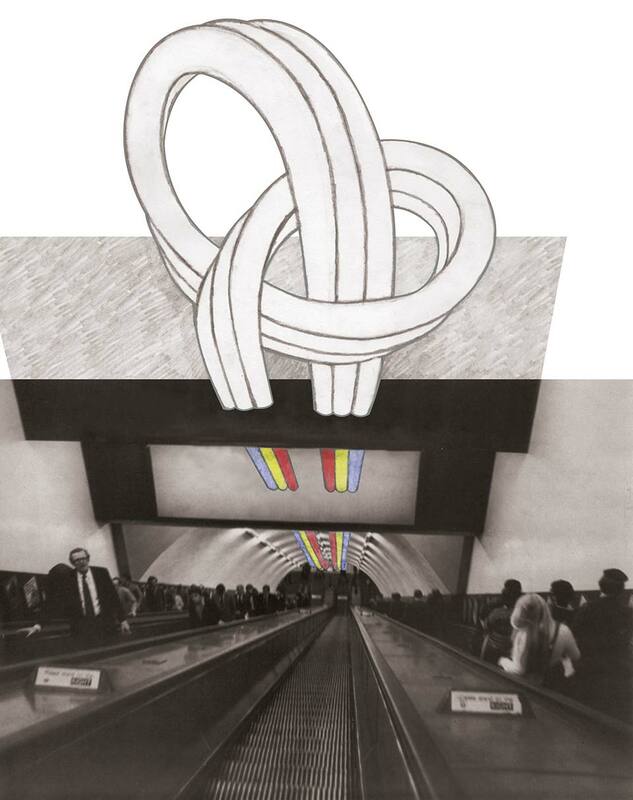 In 1980 London Transport invited Dante Leonelli to submit a proposal for the refurbishment of Holborn Underground Station. 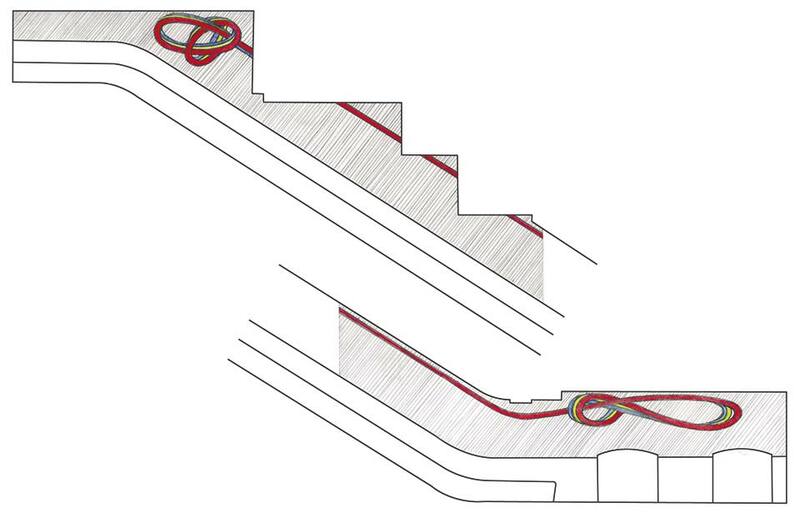 Leonelli proposed an extensive Tubular Light Sculpture, following the flow of passenger traffic through the escalator system. 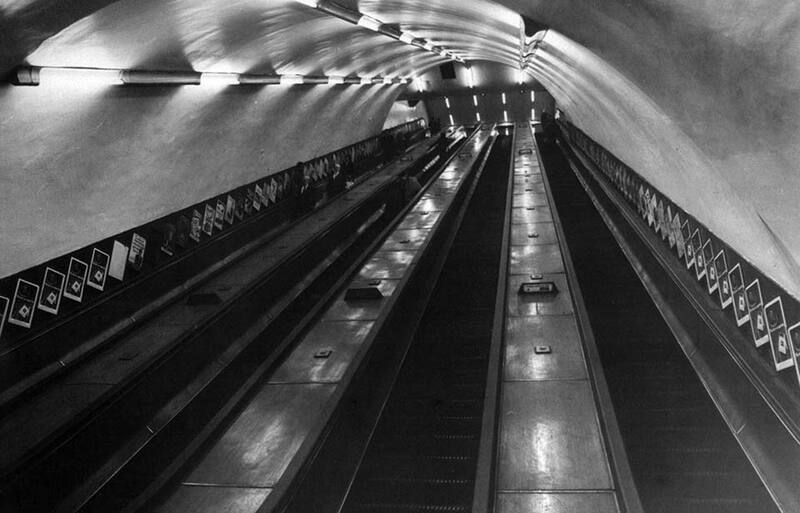 By using strategically located proximity sensors, located along the length of the Tubular Light Sculpture, the lights would consequently accompany the passengers, in the form of a ‘light-shadow’, as they travelled along the escalators. 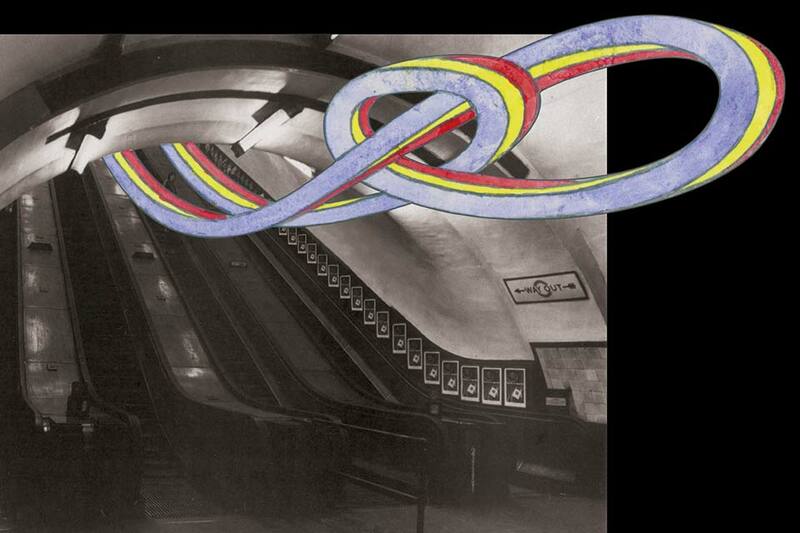 The colours also related to London Transport’s system of Line or Station identity.